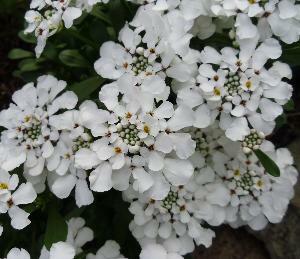 Iberis gibraltarica Betty Swainson is a hardy short lived perennial with evergreen leaves. Flowers virtually all year round. Commonly known as Gibraltar Candy Tuft. 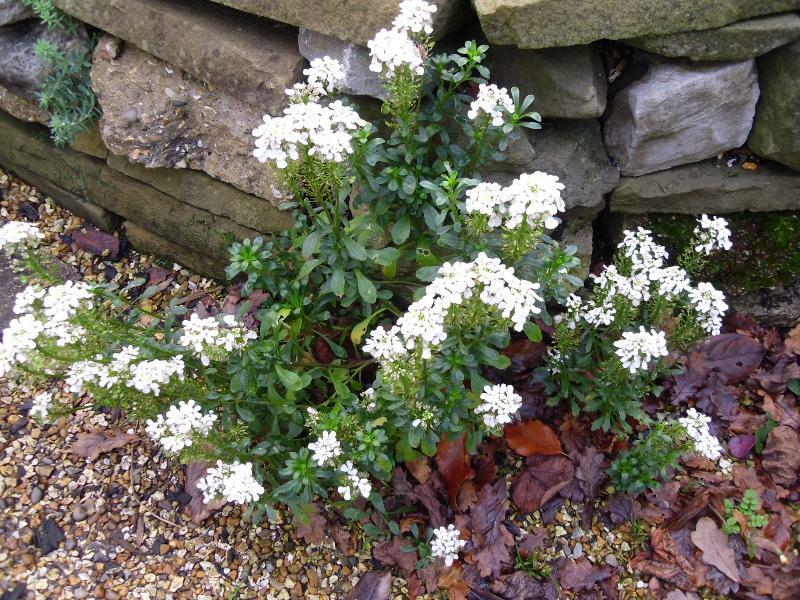 A bushy evergreen plant with large heads of white flowers from February to July. 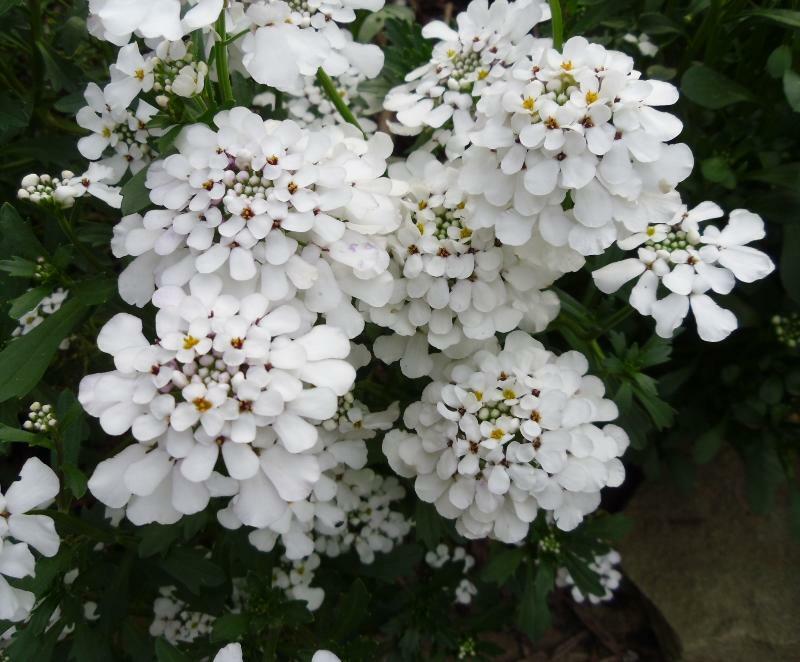 Likes well drained soil in full sun or partial shade. Seeds around once established.